We have had a major gardening renaissance at our house. After being away for a year and leaving our backyard veggies in the hands of a very kind, but non-gardening Finnish couple, we had some serious work to do. Our fence fell over, everything went to seed, and in many ways we had to simply start over. Actually, the blank slate has been fun - there is something so soothing and simple about digging in the dirt. We recently planted a Pink Pearl Apple, Seckel Pear and a Blenheim Apricot to espalier along our sunny (rebuilt) fence. Arugula, broccoli raab, Japanese onions and favas are also taking root. Woo hoo! When we were picking up supplies at Berkeley Hort the other day, I fell for a kumquat. 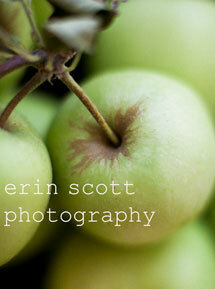 It was sitting there calling out to me with cascades of adorable miniature fruit and lush green leaves. When I asked one of the gardeners about this little tree, she told me that kumquats are known to bring good luck and prosperity - I was sold. To honor our newest little tree, I wanted to cook up something to share with you. I planned on making candied kumquats. Without a recipe and winging it in my typical fashion, I had marmalade before I knew it. It was really good and just as a marmalade should be - tangy and thick. Do you guys eat kumquats? How do you use them? I love that the little citrus gems can be eaten whole. And, I often slice them up and toss them in salads or just pop one in my mouth for a puckery bite. Note: If you don't have access to kumquats, feel free to use orange peels for your marmalade. Thinly slice kumquats and remove seeds. Place honey and water in a small saucepan. Heat over medium flame, stirring occasionally, until the honey has dissolved. Add the sliced kumquats to the pan. Simmer uncovered and maintain a gentle bubbling for 30-35 minutes. When the mixture of fruit, honey, and water has thickened up, you're all done. Remove pan from heat, let cool, then scoop marmalade into a little jar. 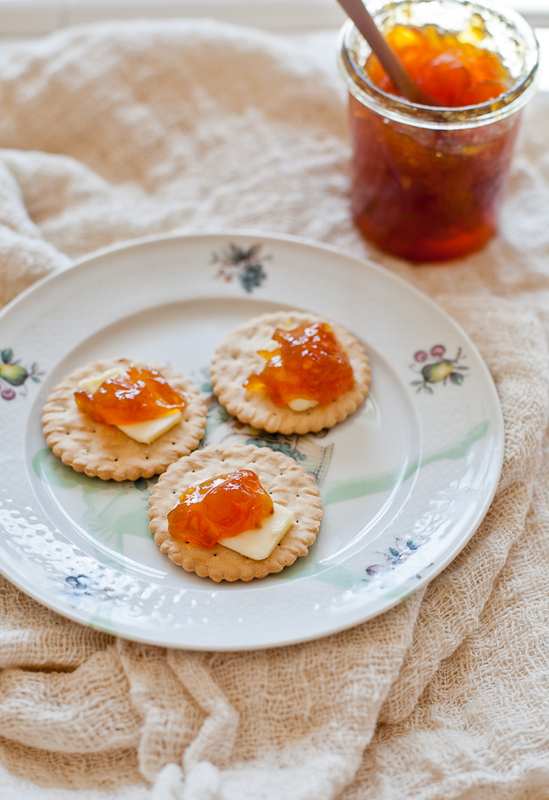 Go ahead and feed yourself a few generous scoops of marmalade on crackers with butter. I picked a whole bunch of kumquats last year from my husbands work, they were just dropping every where going to waste?! They were the more oval shaped ones though, that are even more tart than your round ones. I made loads of compote, which was nice over Greek yoghurt. And made some kumquat friands (recipe on blog) that were nice. Oh... and our kids ate them raw, until their teeth started hurting! I can see why you fell for that kumquat tree. It's so adorable. I love that it brings luck and prosperity. Maybe I need to track one down! I see you have yours in a pot, are they perfectly fine to keep in a pot or do they need to be planted in the garden eventually? As for kumquats themselves, I honestly don't think I've ever had a kumquat. 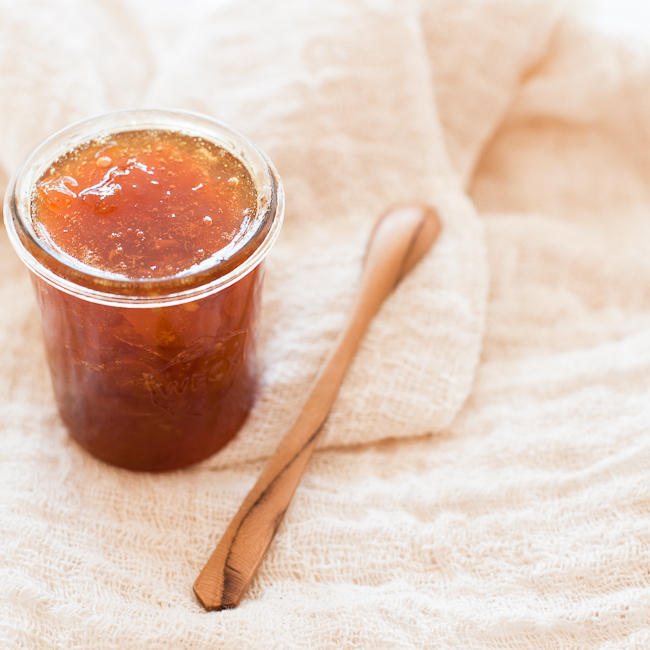 Your kumquat marmalade sounds divine though, even if it was by accident! Emma, I am totally inspired by your kumquat creations. Compote, friands (one of my favorite discoveries in Australia!) and a yummy drink. I'm so glad to have more to do with my little fruit. If you were near by, I'd love to share our garden's bounty! Jennifer, go look for kumquats. They are really fun in the kitchen. And who can't use a little good luck, right? And I did ask a gardener about the pot question. I was assured that the tree would be just fine living in a planter. But I'm sure it would love to be in the ground too. Your first photo is simply amazing - love it. I love all of the things you are growing in your garden. I so wish I had a green thumb yet it is not in my DNA. I made a kumquat marmalade years ago and it was so tasty, yet a lot of work. Yours looks more simple and love the honey. I bet a bit on a hot biscuit would be simply divine. Kumquats are divine and your marmalade must be so delicious. Thanks Rosa.... Those tasty accidents are the best, aren't they? What a happy accident! Sometimes the best results in the kitchen can be unexpected ;-) This looks lovely - and it's national marmalade week next week so perfect timing! I had no idea about national marmalade week... So cool! Your note made me smile. Let's hear it for "accidents" that yield lovely results! I'm a very big fan of kumquats and am actually in the market for a little tree myself (and it has to be grown in a pot because I have very little space to plant one into the ground). I have a friend who supplies me with the little gems, but when it's a lean harvest there isn't that much to go around. In years past, I've thought to make kumquat marmalade, but I didn't want to use them up all at once. So I've tossed them into salads (my favorite) and chopped the skins and added them to my favorite gelato flavor (chocolate-kumquat-saffron) and to mashed sweet potatoes (heavenly). What variety did you purchase? I've only seen more oblong kumquats. And those pictured look a lot like the little Calamansi limes I recently fell in love with. Lori, do you make the chocolate-kumquat-saffron gelato yourself? It sounds so delicious and it such a surprising flavor combo. I bet a dark chocolate is so good with kumquats. And sweet potatoes, yum. I am inspired! I'm not sure about the variety I got. They are especially bitter, but I love 'em. E, I do make my own chocolate-kumquat-saffron gelato and the recipe is on my site. It's one of my favorite flavor combinations. In my recipe testing I actually found dark chocolate to be too bitter and intense with the saffron...but I'm a-little-goes-a-long-way-kind-of-person when it comes to chocolate. My pint-sized taste testers weren't groovin' on the dark chocolate either. Lori, I'm not sure how I missed that recipe. Yum! Will definitely check it out! I've always said that I'd never move anywhere that doesn't have really distinct seasons (hot summer, cold winter, brisk fall etc) but your little plant and that beautiful jar of marmalade is making me question this. The fruit is so plentiful near warm weather!!! they're absolutely divine in a citrus soup with vanilla. occasionally I might serve a scoop of sorbet alongside. Oooh. I don't know how I missed this comment.... Citrus soup - I'm totally fascinated. Thanks Stash! Jennifer, so funny! We just ate a salad yesterday with spinach, kumquat, and pistachios, with goat cheese instead of blue. We are on the same page for sure! And kumquat tea cake sounds wonderful. Thanks for the link! I made candied kumquats once to top a chocolatey Grand Marnier-y cake, but I know just what you mean - - I wasn't careful enough with them, so they basically looked like they'd come straight from a (beautiful Weck) jar of marmalade! And I'm excited for you and your garden. I am guessing you will be able to grow tomatoes and other wonderful things that don't work so well for us. We don't get enough real heat for a lot of things. Are you going to start seeds in the house this spring? Cannot wait to hear more. Oh heck yes!! I'm so excited:) Despite five or six years of professional gardening, this will be the first garden I'll have created at home from scratch. Yep tomatoes, and a whole array of veggies, hopefully. Have never had much luck with candied kumquats, by the way, but I haven't tried toooo hard! I think it might just be up your alley, too! Julia, isn't she a cutie? I smile every time I look out my kitchen window. Thanks for that recipe link... that does sound right up my alley! If I had the room, I'd get a kumquat tree for my backyard, too. I go crazy for those little citrus. They're just so cute. And they add such pop to so many things. Carolyn, kumquats are great, aren't they? If you are ever tempted, the little trees really don't have to take up much space. Boy were we on the same wavelength with our postings! I adore kumquats. I have actually never had kumquat marmalade before. lt is a beautiful color. 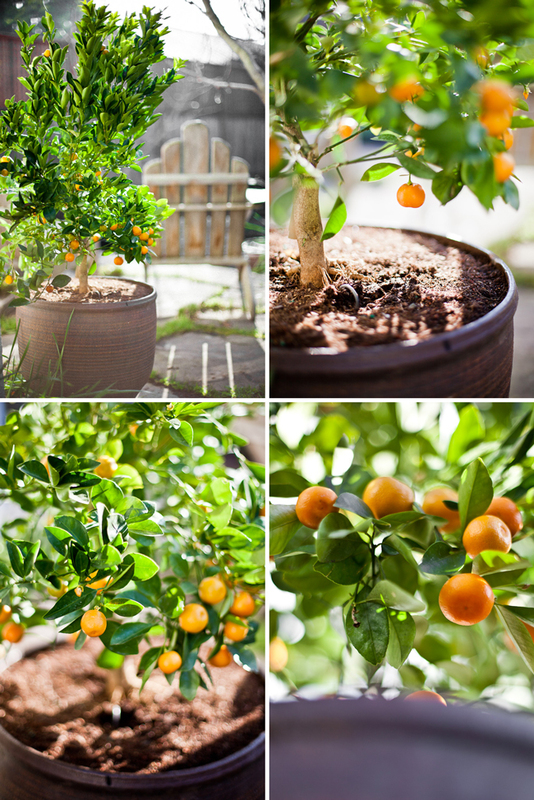 You will love your kumquat tree! Sarah, same wavelength for sure:) And your gumbo looks awesome! So jealous of your kumquat tree! I love marmalade ... I'll have to look for some kumquats! Jane, :) I just made another batch of marmalade. I love the pucker-y tang of the kumquats. I hope you can find some. When I bought my house a few years ago, there was nothing much happening in this mature yard and the blank slate has been really fun - hard work, but so much fun! I envy that you can hit a garden centre...here we are covered in snow. Still. But your kumquat marmalade looks really lovely - just what I needed to see on this cold Winter morning! Renee, what do you grow at your house? I love to hear about gardens in other climates. Isn't it so fun to cook from your yard! I'm really hoping my grocery store has kumquats! I'm traveling with friends this week and promised everyone a homemade pb&j for the plane. I would love to surprise them with this. Kankana, give the kumquats a try. I made the marmalade again yesterday and it's so good. 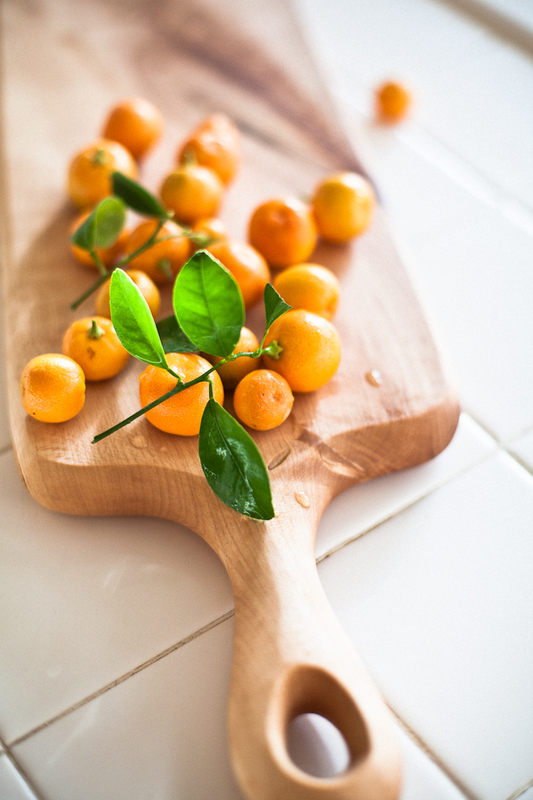 Plus there are so many other great ideas for kumquats in the other comments! Thanks everyone! Hey Kasey, Thanks for the nice note. I love your site! And I've been meaning to try the Aziza cookbook. Shrimp skewers with kumquats... that sounds sooo good! Your tree is so pretty! Every time I see a citrus tree, I want to bring it home. And, I love kumquats. I might need one more little tree. ooo i love kumquats! i like making a vinaigrette with them - i cut the kumquats in half take out seeds if there are any and blend then entire fruit with vinegar, salt, sometimes honey and slowly pour in olive oil! erin: i cannot believe our paths of not crossed yet - i'm at berkeley hort/monterey market ALOT! Deepa, So funny that we would cross paths in Bali and not here. 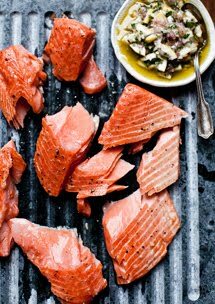 It will happen one of these days:) Your kumquat vinaigrette sounds so good. Must try! The espaliered trees may just be the solution for you too. I have limited yard space and didn't want to limit my sun exposure. All those tempting fruit trees at Berkeley Hort would work. Fun, right? I can only wish that my cumquat tree will bear fruits! wow wow! Love the photos! Your marmalade is beautiful. I've never made anything like this, but I have some satsumas and thinking to try. I love when you go to try one thing and then you end up with something even better. Oh Wow! I've been meaning to make some marmalade for ages, but after seeing this I think i'll try it with Kumquats, what a cool idea! Beautiful pictures as well by the way. I just read about your blog on Design*Sponge and am very pleased to have been introduced to it! It's beautiful. My housemate just got back from Valencia laden with kumquats from her brother's kumquat tree. She made a delicious sauce with white wine and a touch of sugar which we ate with Om Ali (a Nigella Lawson recipe). The sauce is delicious with strawberries too. 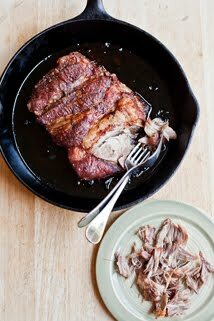 I write a food/ recipe blog too. Have a look when you have a mo! I love Kumquarts and will try your recipe. 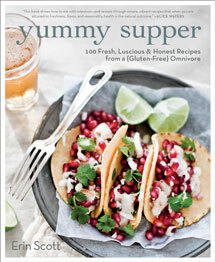 In a recent Martha Stewart Magazine she featured a drinks recipe that uses them with Bubbly. (you boil them down with the sugar) I am serving that this weekend. Can not wait to taste it. 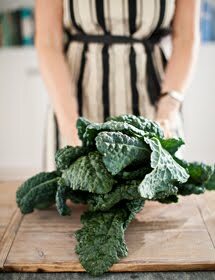 Love your blog and all the lovely photos. Angela, that is one of the joys in the kitchen isn't it? Let's hear it for tasty mistakes! Mixtapes and Mash, Thanks! Kumquats just seem made for marmalade. I keep making batch after batch. Crista, Ooh, kumquats and bubbly - yes please. And thanks for stopping by! 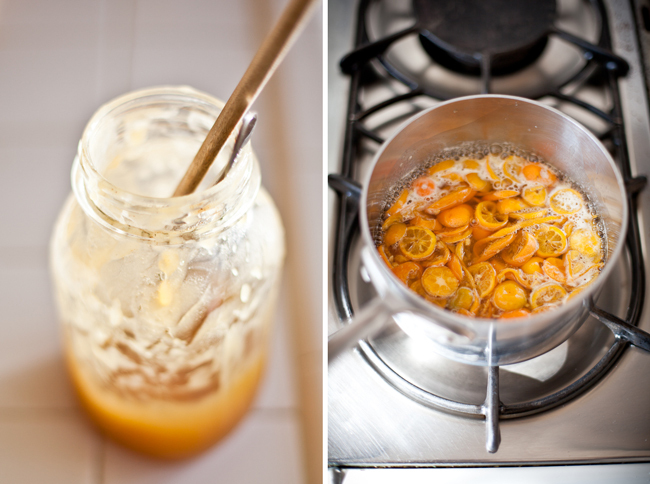 Oh, finally I found a recipe for kumquat marmalade, thanks Erin!!! 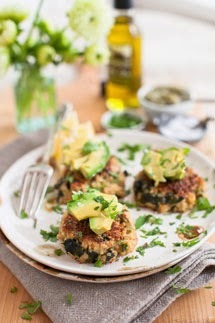 Your blog is lovely and makes me hungry. 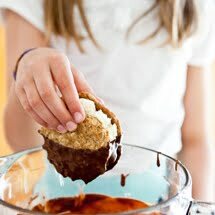 I like this recipe.. no microwave and honey for a healthier sugar. Thanks Erin!!! This is first time I'm trying kumquats. I was surprised to see that the whole fruit is eaten and the peel is actually Sweet. I love that about kumquats - that the peel is the sweetest part. I hope you enjoy!